1. To many subjects were covered. 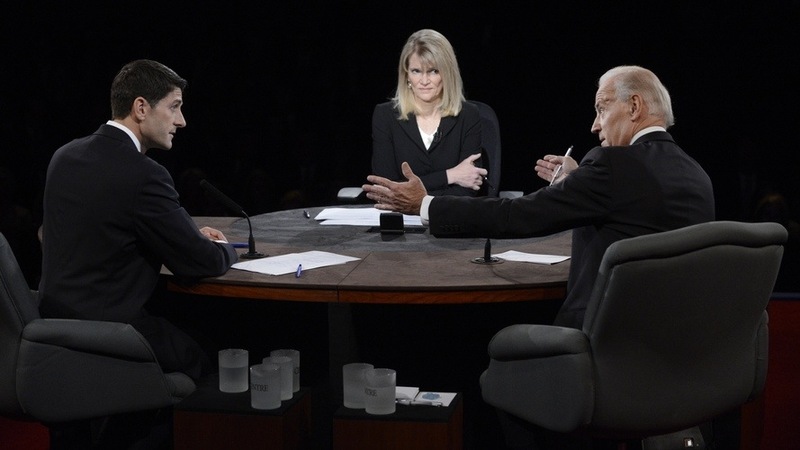 The first hour and 15 minutes was filled with information that never seemed to connect to an overall flow or purpose for the debate. The best part of the evening was the last 15 minutes where things slowed down a bit and both candidates were able to state their views clearly. This is what made the presidential debate so clear last Thursday. They took their time and even though they did not get through all the material, the stuff they did get through was clearly presented. 2. The moderator did not keep control. She allowed one of the candidates to interrupt the other and continue to be rude. She also repeatedly interrupted one candidate right at the moment he was putting the ending on his case. The reason she interrupted him was she felt he was over time… But she could have waited till he finished and then reminded him of the rules they had agreed on and could have come up with some sort of hand signal to say times about up for both of the candidates that no one saw but them. But I think she was just trying to prove she was a “strong moderator”. The fact is the moderator started well at the beginning but as time went on did not command respect from either candidate but bullied her way through the night. In trying not to look like someone they could walk over, she wound up looking very unprofessional. Of course it seemed as though the debate was designed to spring a trap and get one of the candidates to say something inappropriate so it could be used in the next political ad or quoted in the next stump speech. 3. It was slanted to much on foreign policy. I don’t know if this was a strategy to take one of the candidates out of his comfort zone or if they were trying to distract us from other issues such as the economy or if it was just because the economy was talked about in the presidential debate last week. Regardless it created a situation where neither candidate was able to present themselves in a clear way to the American people. 4. At the end of the day we did not learn any thing new about the candidates that we did not already know going into the debate. Therefore, who we thought the winner of the debate would be did not change when it was over. 5. The spin coverage afterward was weird. It seems that some were working over time to say that one candidate was better than the other and the winner. ” well, that was confusing”. With all the interruptions, lack of moderator control and people talking over each other, in the end it was a waste of time…. Of course the last 15 minutes was worth its weight in gold. Both Biden and Ryan made a clear case for why they believed the way they believed and their closings were a clear demonstration of who they really are…. I just wish the first hour and fifteen minutes of the debate would have had that same temperament. And i believe the American people would be better off today if it had been.